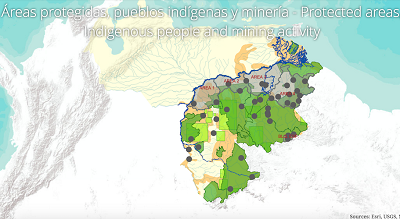 Dutch journalist Bram Ebus has just published an entire website dedicated to Venezuela’s Mining Arc, a mega project that is at the centre of a national controversy given the devastation to both the natural environment and local communities that it is causing, as well as the innumerable allegations of rampant corruption surrounding it. Ebus spent three months investigating the many different aspects of the Mining Arc, which is located in the southeastern Bolívar state. His presence in the area caused nervousness among military officials operating there and he was detained for 24 hours, for no apparent reason, back in September. Those officials have been accused by opposition MPs of smuggling minerals to different islands in the Caribbean. Despite the incident with the Venezuelan National Guard, the reporter went ahead with his work and forged a partnership with the Pulitzer Centre, a digital platform called InfoAmazonia and local newspaper Correo del Caroní. In the lengthy piece released today, he reveals how the 111,843 Sq.Km-concession area destined for mining gold, diamond, iron, copper, bauxite, coltan, and other resources has become a dangerous cocktail of violence, armed gangs, deforestation, foreign companies, guerrilla groups, corruption, military officials, malaria, three-digit inflation and many of the other concerning situations taking place in the cash-strapped country. Photo from Virginia Behm's report. However, President Nicolás Maduro says that the Arc would help curb long-standing illegal mining practices taking place in the southeastern Guayana region, whose reserves have been estimated by the government in 7,000 tonnes of gold. 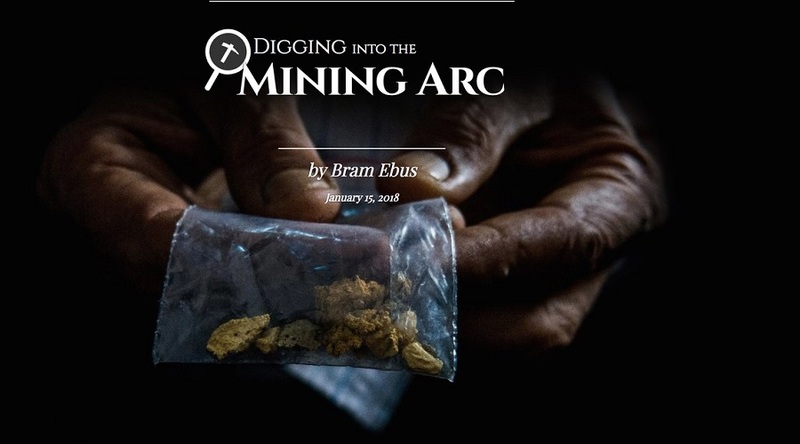 But different sources interviewed by Ebus for his story, such as former military officials, lawyers, and environmental and human rights activists, say not much is known about mining in a country that has built its entire economy on its nationalized oil industry. Their conclusion is that the Mining Arc is Maduro’s last-ditch attempt to inject the broken economy with any sort of capital at any cost.